Mold is a type of fungus that develop as a result of the spread of spores. Mold will usually grow on surfaces that have been damp for a while. It doesn’t take long for mold to grow on damp fabric or wood. Bathroom and kitchen components are also quite prone to developing mold. Staying in a mold-infested house can be harmful to your health. It should be addressed as soon as possible. Before we get into the signs of mold in a home, let’s explore the various types of molds. Aspergillus – this type of mold grows on dusty surfaces. It thrives on dusty walls, building materials, and sometimes powdery food items. Alternaria – this is the most common type of mold. It mainly grows as a result of dampness. You will find it on showers and under leaking sinks. Cladosporium – this type of mold normally grows on wood surfaces and fabric. It is fueled by wetness and warmth as well. Penicillium – this mold has a green or blue color. It appears on surfaces over which water has been flowing. Mold starts developing as spores and is normally invisible at first. The spores can get into the house by attaching themselves to various objects, or even people. They can even come in through the air. The development of spores is mainly facilitated by wetness and warmth. Mold will only develop if the conditions are favorable. 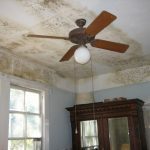 You will notice the various types of mold will always appear where there has been water. 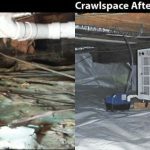 Mold tends to grow in hidden spots, especially inside a house. Therefore, you might not be able to visually spot them. So it’s important to know what is considered to be favorable for mold. Water is a common factor in all causes of mold. 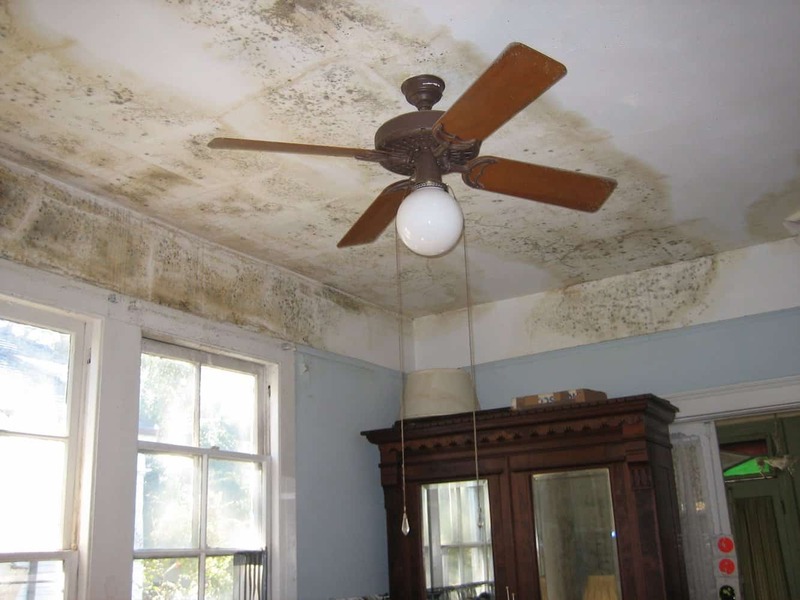 If your house has damp areas for one reason or the other, expect mold to grow, unless you keep things properly dry. Leaking pipes and roofs could have water getting in certain parts of your house. If your house has experienced flooding, mold will likely start developing. You will need to comb every single inch of the house to ensure it is completely free from damp. During cold weather, items in the house could get damp as well. You might notice condensation on your house walls or windows. Mold can happen during the winter so be on your guard. To avoid any mold development. Ensure your house is warm enough during winter,, and anything that is being brought into the house from outside is properly dried. If wetness accumulates at any point in the house as a result of leakage, you should dry it up as soon as possible. When inhaled, molds can cause reactions similar to those caused by other airborne diseases. Molds need to be removed as soon as possible since they can cause serious respiratory infections. People with asthma will have their chances of asthma attacks increased by a moldy environment. If you are experiencing such symptoms and you have do have mold in the home, you should call your doctor immediately. Mold has an odor, especially when there’s a lot of it. If you notice a moldy smell lingering in the air in your house, you need to check all corners of the house. You probably know how a wet cloth that had been tucked away for sometimes smells. The mold odor is likely to smell something like that. If mold attaches itself on your walls, it tends to destroy the painting or wallpaper. Damaged walls or wallpaper are a very strong indication of the presence of mold in your house. Dampness can penetrate under the paint, providing the perfect conditions for the growth of mold. Clean up and repaint your walls if the paint starts peeling off. Water might seep into the walls further spreading spores and mold. Such walls need to be repaired immediately. Fully developed molds are quite visible. You will see them as green, blue, brown, white or black patches on various surfaces, depending on which type of mold they are. By the time you are able to see the molds, they are fully developed and might have been there for a long time. Either way, you should make efforts to remove the mold as well as find and rectify the cause. Hidden and dark corners of your house are quite prone to mold. You should take the initiative of checking them every once in a while. Some variations of visible mold can be seen as stains and spots. Many people might be quick to dismiss little stains and spots on their walls. The stains and spots could actually be molds. If you notice any unexplained stains and spots on surfaces in your home, you should seek to clean them off. Some molds tend to be dusty as well. This means that unexplained dust could be another indication of mold. Take time to find where the dust is coming from, and clean up the place properly. Dusty molds are quite notorious for causing respiratory problems. You will start sneezing and having breathing difficulties if you stay exposed to them. 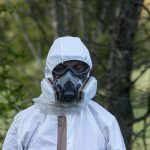 If you suspect your house could be mold infested, you should get in touch with a remediation professional to come and check it out, as well as possibly remove mold. The professionals are able to ensure your house is left mold-free. You should never gamble with your health, and that of your family. It is important to get your house tested occasionally, even if you haven’t seen any of the signs above.